According to The Daily Mirror, which has even published photos of Samantha at the gates of this famous residence, Markle’s evil sibling made good on her threat to try and see the Royal Beauty early yesterday. Samantha – who suffers from multiple sclerosis – was pushed by her partner in a wheelchair through an open gate. British news outlets have sincereported that she got into a verbal “stand-off” with an officer guarding a security checkpoint and was turned away. 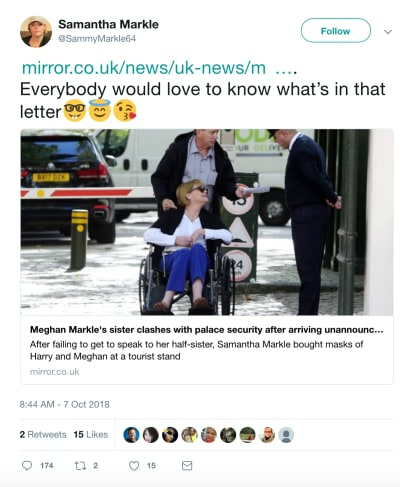 “Everybody would love to know what’s in that letter,” Samantha tweeted on Sunday. 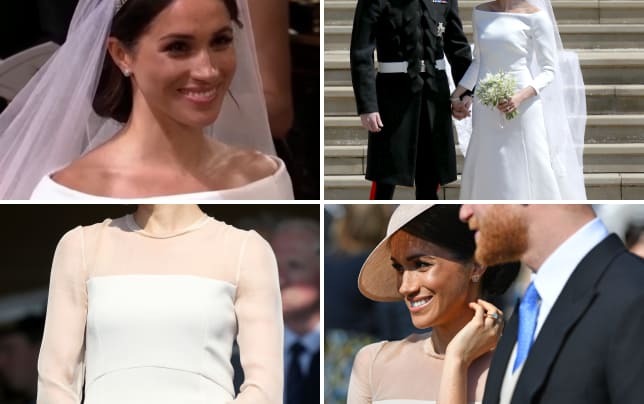 Yet this lack of a relationship hasn’t stopped Samantha from publicly disparaging and harassing Meghan, almost since the moment Meghan started dating Prince Harry. 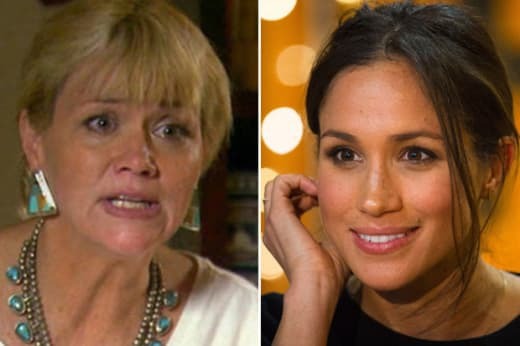 On endless irritating, cruel and self-serving occasions, Samantha has fired off Tweets or given interviews in which she accused Meghan of being a phony… a hypocrite… a spoiled brat… and even a dog killer. One must wonder whether this will change now that Samantha dared to actually get into the Palace. That’s scared territory. “I think everybody [in our family] was hurt at not being included or invited to the wedding, but I felt as though it could have all been nipped in the bud had everyone been included.